Athena Lee will be on The Balancing Act discussing firearms on Arpil 24th (originally aired April 17th). 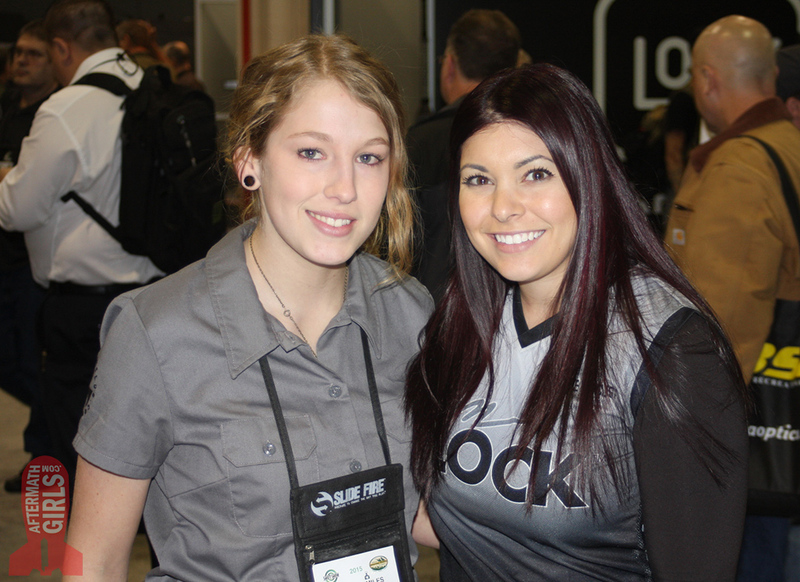 Michelle Viscusi was at SHOT for Team Glock, signing autographs and being her generally friendly self. GunDoll and Anette Watcher (30CalGal) at SHOT Show 2015. 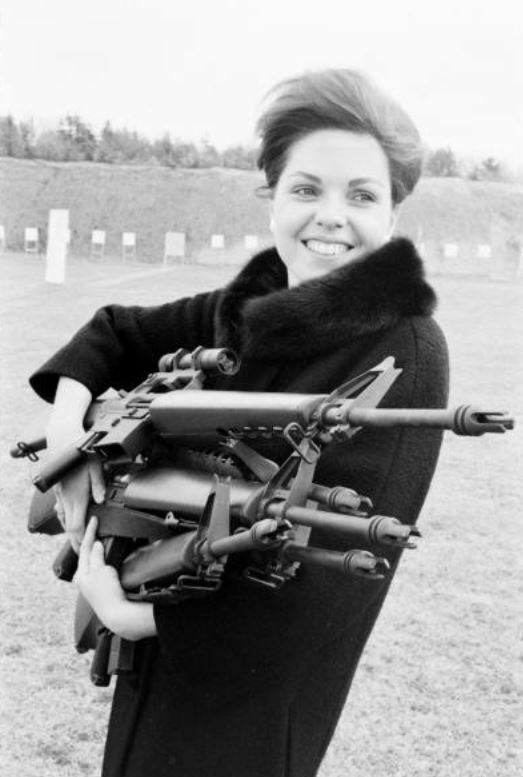 Anette is a competition shooter on the US National Rifle Team with a very respectable record. This was shared with me, originally from 9Gag, and a quick search found some news on her. 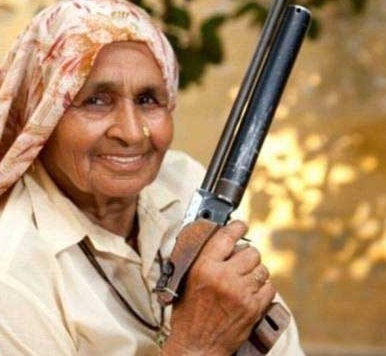 At the time of the article below, she had only been shooting for ten years but had won over 25 national championships. Miss Battle Born is disappointed with the self healing target she purchased. We like them – they aren’t fantastic, but we don’t use them with pistol calibers nor at such close range. These targets are convenient when you don’t want to potentially litter and when you have an impromptu range day with just what we happen to have in the vehicle. Falia’s reviews are quite decent, to the point, and not long-winded. Her web site isn’t kept up to date but you can find her on Facebook as Falia Leigh. Falia Reviews (Falia Photography) on the Jack Carbine from Haley Strategic Partners & Bravo Company Manufacturing.